Flowers yellow. Prostrate spreading herb. Stems usually covered with hairs. 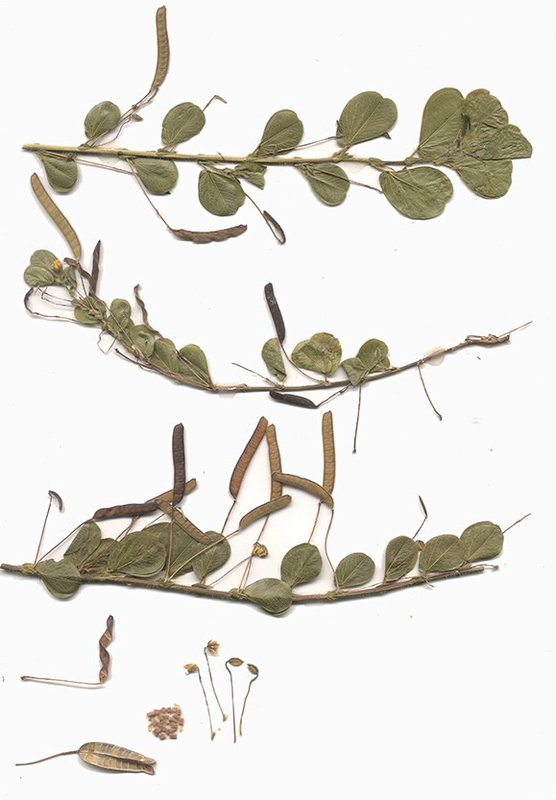 Leaves of 2, paired oval to round leaflets. Flowers solitary in leaf axils, pedicel 1.5-4 cm long; petals yellow, stamens 5, all fertile. Pod flat slightly curved 1.5-4 cm long to 5 mm wide.